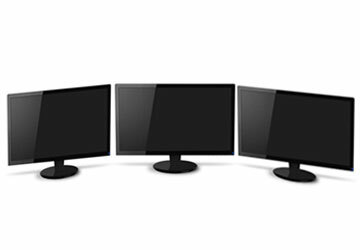 Set of 3 screens of 60cm or 70cm with a very low response time. perfect for simulation. very high resolution and 3D technology.